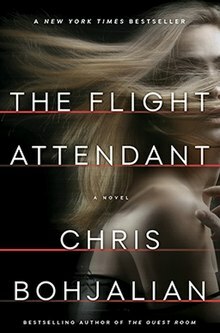 The Flight Attendant is a novel by Chris Bohjalian, published on March 13, 2018 by Doubleday Books. Flight attendant Cassandra Bowden wakes with a hangover in a hotel room in Dubai to find a dead body next to her. Afraid to call the police, she continues as though nothing happened, joining the other flight attendants and pilots traveling to the airport for a flight to New York City. She is met in New York by FBI agents who question her about her recent layover in Dubai. Still unable to piece the night together, she starts to wonder whether she could be the killer. In October 2017, it was announced that Kaley Cuoco's production company, Yes, Norman Productions, had optioned the rights to the book to be developed into a limited television series with the same name, The Flight Attendant, with Cuoco starring and executive producing. ^ Andreeva, Nellie (27 October 2017). "Kaley Cuoco Launches Company, Inks Pod Deal With Warner Bros. TV & Set First Project – Limited Series She Would Star In". Deadline. Retrieved 23 May 2018. This page was last edited on 17 December 2018, at 15:23 (UTC).